The UK government commemmorated the 60th anniversary of the end of World War II in 2005. There was a large collection of exhibits set up in London's Saint James Park. This included some communications equipment. The type of radio seen below was used in the Burma theatre, shown on the map. 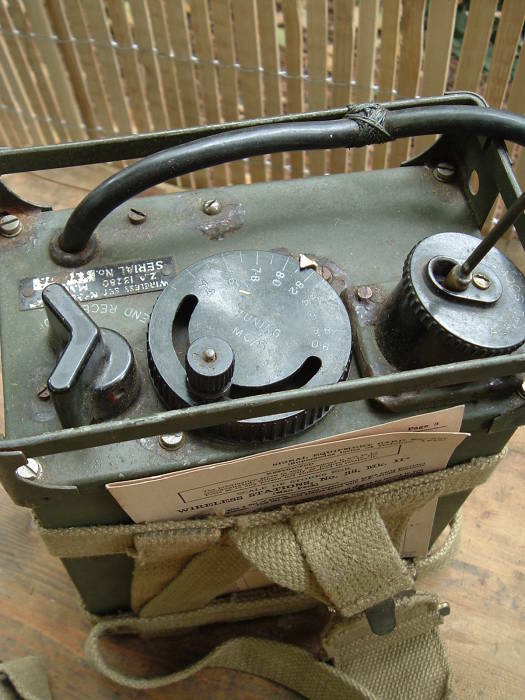 The same radio was also used by the Normandy Pathfinders. Pathfinder teams (sticks) were made up of a group of eight to twelve pathfinders and a group of six bodyguards who defended the pathfinders while they set up their equipment. Pathfinder teams dropped approximately thirty minutes before the main body in order to locate designated drop zones and provide radio and visual guides for the main force. Once the main body jumped, the pathfinders then joined their original units and fought as standard airborne infantry. 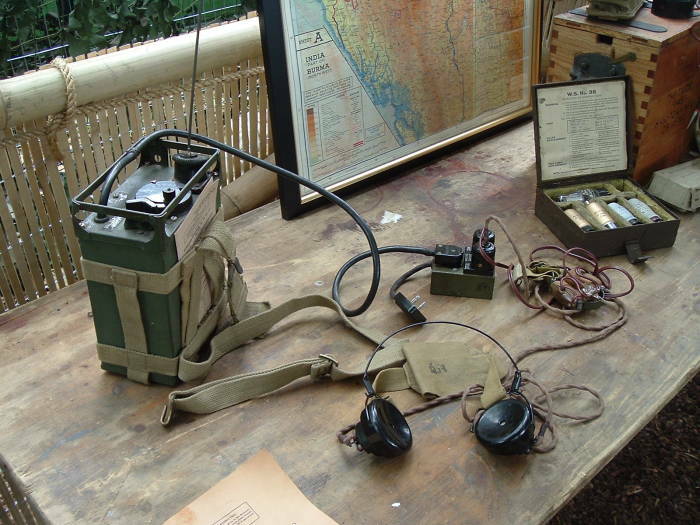 Here is a closer view of that radio used in Burma and in Normandy. You can barely see that its tuning range was about 7.35 to 9.00 MHz. The tuning knob, at center, could be locked in place by tightening the small locking knob into place. 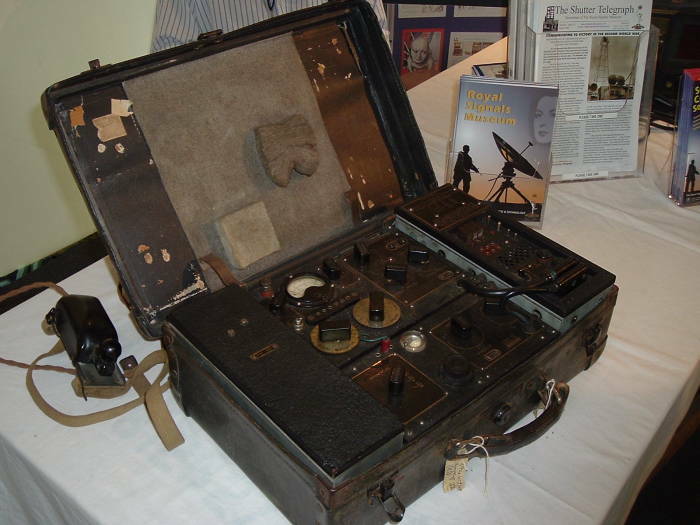 The HF communications receiver seen below is a type P.C.R. 2, made by Pye Ltd, UK. Here's a "low profile" spy radio, weighing 16 kg and filling a suitcase! Compare that to modern HF radio designs which can fit far more functionality into an Altoids tin. 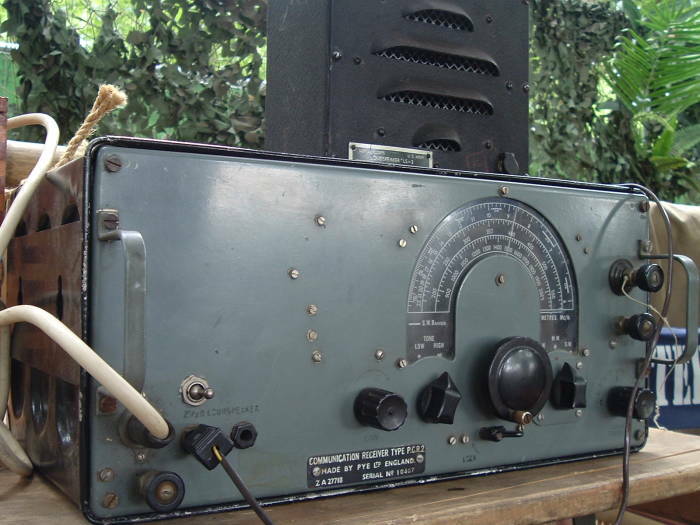 This NRO HF receiver, type HRO-M, was used by Montgomery's signal staff at Luneburg Heath, Germany. 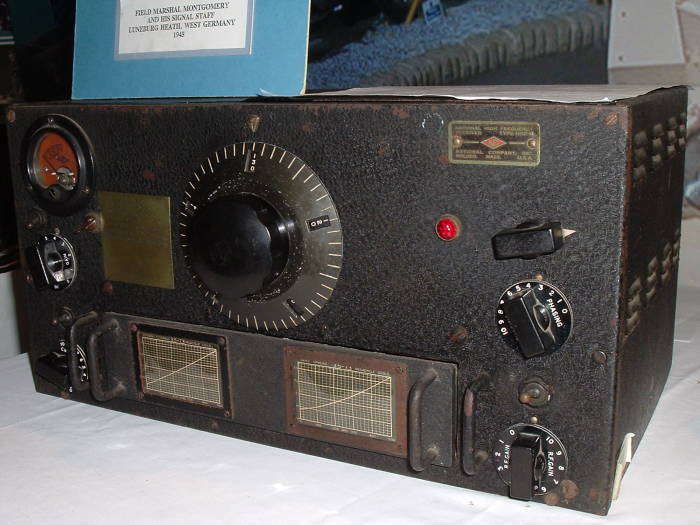 This was the radio on which the official German surrender message was received! 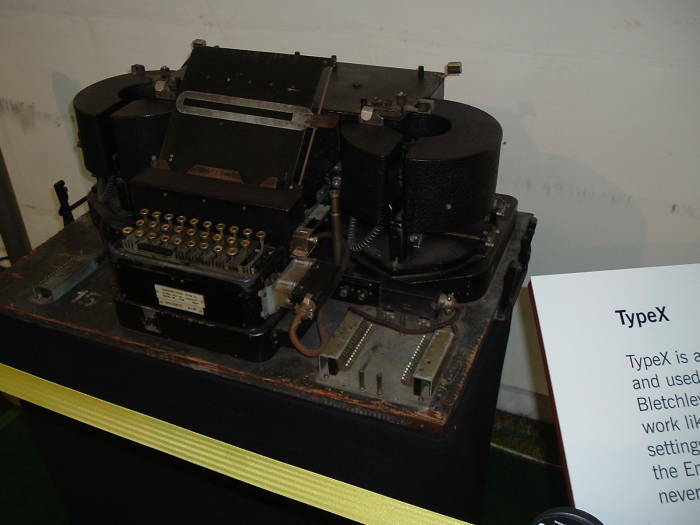 This British Type X cipher machine was used to encrypt and decrypt messages sent over the HF communication links.